Created in conjunction with our independent Physiotherapist Matt Baker, a free comprehensive ergonomic self assessment checklist for you and your colleagues to download and complete in your own time. It’s important that all office personnel be aware of their working environment and how to effectively set it up. Such an assessment is designed to minimise the risk of injury, re-occurance of injury, improve comfort levels and safety, encourage healthier work practices and maximise productivity. Please call one of our Ergonomic Seating Specialists in Sydney, Melbourne or Perth to establish the number of chairs required, short list a range that fits your criteria and to see if you qualify for a corporate seating free chair trial. Designed in conjunction with a leading international Physiotherapist and Ergonomist to help you assess the ergonomic seating needs of your work colleagues and clients. 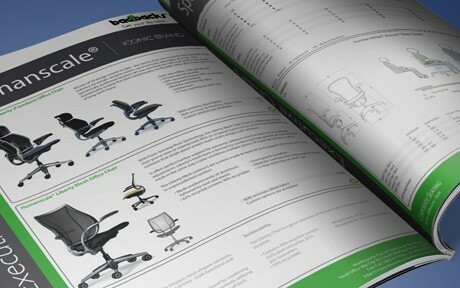 Free Download; Our Corporate Seating information pack which contains our product ranges and information about our business to business services. Copyright (c) 2001-2017, Bad Backs Australia.